Sample images of some of our printable Math Worksheets for kids. No mastery tests here. Just plain common sense printable Math worksheets for practice, your print and practice headquarters! Practice is the key to confidence. Our printable worksheets are taught in learning order so that your students learn the facts before the quiz. This is a huge page because it explains the main Math practice worksheets here at PrintNPractice! Printable Math practice worksheets are the stars of our show. We have hundreds of worksheets for Math at K-6 levels. Kids can practice with these worksheets and learn their tables way more easily than they can with "guess and check" programs. Our worksheets are interactive which means you can add notes or directions and kids can do their work on the computer saving ink and paper. They're interchangeable, too, so that you can use most of these in any grade for any age child. They make for fast and painless review. Enjoy! Printable Shapes First Grade Math Worksheets You'll find basic shape worksheets that show the shapes for coloring, spelling, and fractions. Number Coloring Pages Many fonts of numbers to color. The first six sets have eleven pages, one for each number plus one page for 1-9. The last set has ornate numbers with beautiful flowers to color. Printable Counting Worksheets You'll find many pages of counting worksheets here: counting; skip counting; counting by halves; counting to one hundred; hundreds charts; manipulatives; 12 Days of Christmas worksheets to copy and color; and plain, puppy, and kitten printable flash cards. 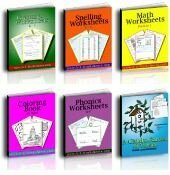 Number Writing Worksheets You will find a wide range of number writing worksheets here: color, trace and copy, manuscript, cursive writing, practice writing checks, and Roman numerals. Color By Number Worksheets You'll find sweet pdf images that are simple to color: Christmas bells, boy on swing, girl with balloon, racing car, birthday, and more. Christmas Math Worksheets Find the Twelve Days of Christmas writing and coloring worksheets with classic images of the Partridge in a Pear Tree, Two Turtle Doves, Three French Hens, Four Calling Birds, etc. Printable Addition Worksheets These are treasures! They're modeled on what our favorite teachers had us do in school to learn addition quickly, mostly copy the equations three times each. Hm... Did they copy it right the first time? These solve that problem! Printable addition flash cards, too. Addition Flash Cards Videos Sometimes it's simply good to be able to review the addition facts in order with no fear of memorizing the wrong answer. No music or other distractions. Equation and images. Twelve videos. Great on phones and tablets. Teaching Addition to Kids with Math Practice Worksheets What gives kids confidence learning addition? How can you teach them making sure not to regret common oversights? Subtraction Worksheets These treasures continue what addition started and even have 2 in 1 worksheets that teach addition subtraction together. Wonderful for review, too. Copywork, charts, and printable flash cards. Subtraction Flash Card Videos Kids can practice subtraction with these videos. Twelve subtraction videos. No music. Equation with images. Great on phones and tablets. Printable Clock Worksheets Digital, analog clock face, and cut and color. Beginner clock worksheets help kids learn to tell time. Counting Money Worksheets Kids learn to recognize US coins and count by fives, tens, and twenty-five with these worksheets and video. Printable Measurement First Grade Math Worksheets Kids learn the English system of measurement and the metric system of measurement. Great suggestions for learning cups, quarts, and gallons, too. Multiplication Worksheets Multiplication is fast addition. Kids love our easy skip counting and multiplication worksheets. The work is easy yet the learning is real. Printable copywork, charts, and flash cards. Multiplication Videos Again, kids can review the multiplication facts in order with no fear of memorizing the wrong answer. No music or other distractions. Equations with images. Twelve videos. Great on phones and tablets. Printable Division Worksheets Same great format as with multiplication: printable division worksheets, copywork, charts, and flash cards. If kids know multiplication real well, division is easy! Division Flash Card Videos Kids can practice division with these videos. Twelve subtraction videos. No music. Equation with images. Great on phones and tablets. Printable Fraction Worksheets Fractions are simply division. Cover division first and move to these wonderful fraction worksheets and manipulatives. Printable Decimal Worksheets Well, decimals are fractions which are also division. Once kids get the hang of division you can teach decimals. Give money examples for easy real world decimals in dollars and cents. The same is true of percents. Percents represent fractions and decimals. Kids learn how to write them well here. Printable Graph Paper For Kids Wonderful collection of various colors of graph paper including the standard black, grey, and green as well as fashion favorites like blue, pink, purple, yellow, orange, red and brown. Standard inch and metric measures in small, medium, and large sizes. Neat idea for using these as emergency gift wrap! See the notes at the bottom of the page. Practice Writing Checks & Numbers Yea! We get to play with money and learn to write numbers and spell numbers and the names of stores. Super cool! Print on multi colored paper for a very fun effect. Printable Math Symbols PDF This printable poster has frequently used Math symbols on a colorful background. Very handy in the fourth through sixth grades. Printable Roman Numerals Chart Oh how I wish I had had these when I was in school! Printable charts, lists, flash cards, posters, popular dates, one through one thousand. Great practice for expanded notation. It's like writing in code! Printable Prime Numbers Charts Don't you just wish you had a chart of the prime numbers?! Printable worksheets, charts, and poster to use on the wall or in a binder. Nullity, identity, composite numbers, and the basics for prime factors. Practice makes perfect! Printable Math Dictionary For Kids Find the Math definitions on these pages or print the Math Dictionary for handy reference. Super complete. Printable Exponent Worksheets For Squares And Cubes Expand the concept of multiplication and find many super handy worksheets for teaching about exponents with squares and cubes and enjoy Crewton Ramone's talented square numbers video explanation. Order of Operations Worksheets Kids love the color coded explanation of PEMDAS on thirteen different printable worksheets. Pre-Algebra Worksheets See a wonderful recommendation for printable pre-algebra and algebra worksheets. Maria Miller's Math Mammoth books are concise and fun! Geometry Worksheets Kids can learn formulas in minutes. Formulas help to make geometry easy. See the formulas with explanations and a printable Geometry poster for reference. Mathway Problem Solver This is a super handy way to find the answers to Math problems that simple calculators cannot find. Intuitive and able to be downloaded to your computer so kids do not need to be online. FlashMaster Best little trick to help kids drill the Math facts. We love ours and wish that we had two so we could race! Our little son learned the division facts before he learned the addition facts simply because he played with the division exercise first. Keep track with a printable chart. Math Shark Kids love the fun Math games that encourage self learning. The bright colors make it look fun before they even start. Saxon Math God bless John Saxon and what he did for Math text books. He wrote wonderful Math books and published them from his own financing. A God send of sanity for kids and super good with our printable Math worksheets. Use these links to go to our online and printable Math dictionary. Print it to keep it handy in a binder or save it to store on a tablet. "I sure wish that I had had these printable worksheets when our children were little!" Our hundreds of practice Math worksheets offer easy practice for daily review - from developing the skills of writing numbers through the skills of addition and multiplication through some beginner Algebra skills. How? Our printable worksheets offer practice first and are the main purpose of our website. Does your program offer enough basic practice for a daily Math review? Let us help. Use the links above. 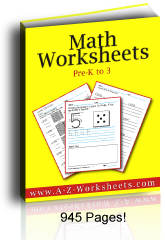 You can also buy the Printable Math worksheets that are available on this site as a bundled download for your convenience - 945 Math pages included in separate files. No matter which curriculum or program you are using, we offer fast daily review with our elementary Math worksheets that offer practice writing numbers, tracing shape worksheets, and tracing or copying the Math facts on addition worksheets and subtraction worksheets. Some icons represent one Math sheet and others represent several. Our Math Facts are taught in order. Choose progressively more advanced Math facts from the links to the left. Reprint as often as you or your students need! You'll love our Math Videos if your students are using our printable math worksheets to learn the math tables. Bookmark these links for easy practice! Those students who need visual reinforcement can use our other printable Math Worksheets, printable Math flash cards, and Math reference sheets. These make awesome free homeschool notebooking pages, too. True notebooking for Math! Many of these printable practice Worksheets offer space for practicing the basic Math facts three times each. We also include our Math flash cards of all four Math operations (be sure to see our online Math videos). You can print and reprint as often as your students need practice Math worksheets! There are 945 pages of printable worksheets in this download. They cover many of the basic math operations like: Shapes, Addition, Subtraction, Printable Multiplication Tables Chart, Division, And More! If you want to get all our Math practice worksheets in one easy download, buy our Math worksheets in one bundle here. I Love These Other Math Problem Solvers! We have a Free Math Glossary ebook that you can print and keep in your binder for easy reference to definitions and formulas. 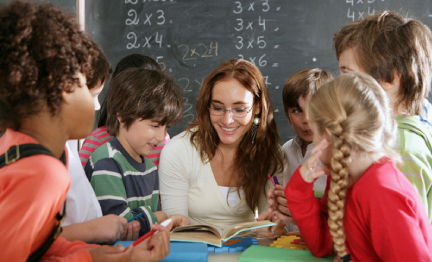 Looking for the best Math lessons complete with Math lesson plans? Check out the incomparable Saxon Math curriculum. Saxon also has printable worksheets and you'll love it's videos. Otherwise try Dr. Shoremann's DIVE. One of our favorite Math activities is the FlashMaster for learning the basic Math facts and speed-practice with the Math tables. Again, printable math flash cards are obsolete with this treasure! The Math Shark has fun Math activities, skill building math practice, plus a calculator! Timed, no-fail game strategy makes it great for individual, self-directed time testing, with cool math games for kids! Buy our Printable Math Bundle here. Have you tried Mathway's online calculator? See the Mathway 7 day trial here. See also: Math Mammoth for excellent printable math worksheets. Check for these and other New and Used School Supplies at Amazon! Looking for advice in teaching Mathematics from a super experienced Math tutor? Crewton Ramone uses his talent for Math and Math manipulatives on these videos and shares his years of successful experience with you and better - with your students. "The exercises should be done using both hands and done relatively quickly. At first it will go slowly but after some repetition it should be a breeze. Easy smeezy breezy, as one of my students liked to say. She went from using her fingers to in her head in about three lessons. She was about 13 years old at the time, so don't get the idea that these techniques are just for little kids." "If you can teach a four year old that Math is easy you might even be able to teach an adult or even a teenager that Math really is easy just like when they were little and Math was their favorite subject." Crewton has a lifetime of experience teaching Math facts! What is 17 x 3? Easy. Check out his Addends video to see how astonishingly easy it is to get the answer quickly!